This entry was posted in Uncategorized on November 27, 2013 by Jennifer Gepson. 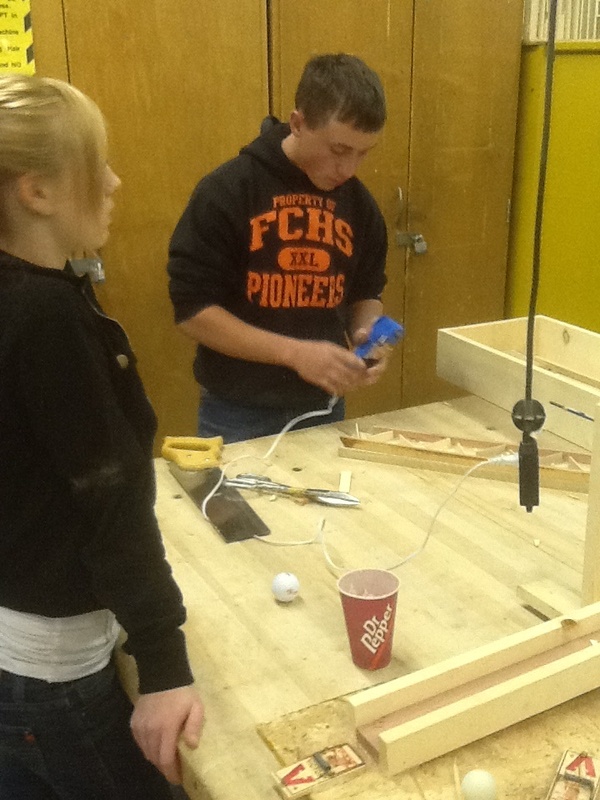 Rube Goldberg project for Principles of technology class. Students had to use miscellaneous objects to create five different movements to solve a problem without human inference after the start. Winning group of Adam Polsley and Tristin Howell created eleven steps. Click the following links to see videos of the projects. This entry was posted in Uncategorized on November 26, 2013 by Jennifer Gepson. Give the Gift of Life!!!! If you (or anyone you know) are interested and are able to donate please let me know. It takes about an hour. We will put any adult ahead of students donating so you can get in and out faster. This entry was posted in Uncategorized on November 19, 2013 by Jennifer Gepson. 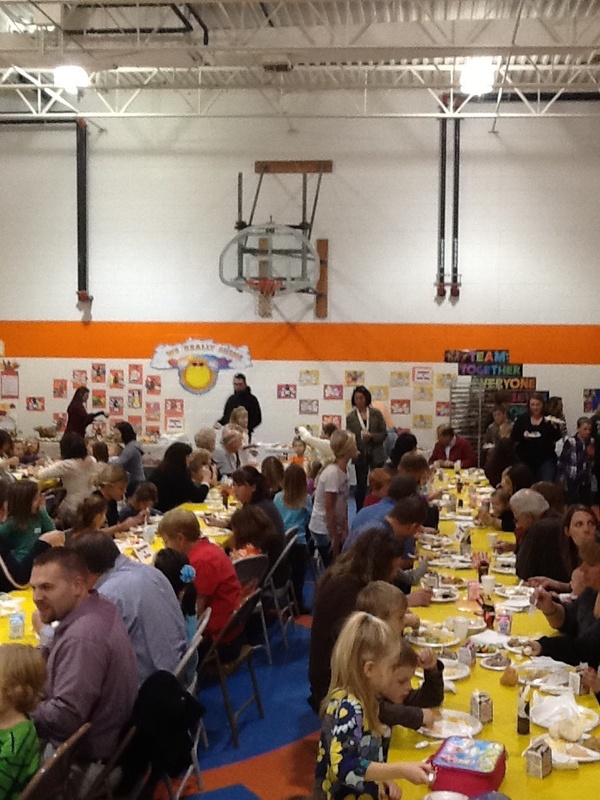 What a great turnout for our annual Thanksgiving Feast!! 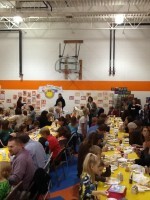 Over 500 people came out to enjoy turkey, mashed potatoes, corn, and of course, the famous Oreo fluff!! 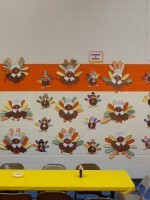 In addition to the wonderful food, guests were able to enjoy the awesome Thanksgiving artwork that our students created! Thank you to all the students that made the table decorations and the wall decorations!! Thank you to our support staff, student council, and the 6th grade classes for setting up, decorating, cleaning up, and helping the younger kids with their plates! Mr. Johnson, Mr. Wemhoff, Deb Hoer and Mr. Wagner deserve a special shout out for being there to help the day run so smoothly. Thank you!! 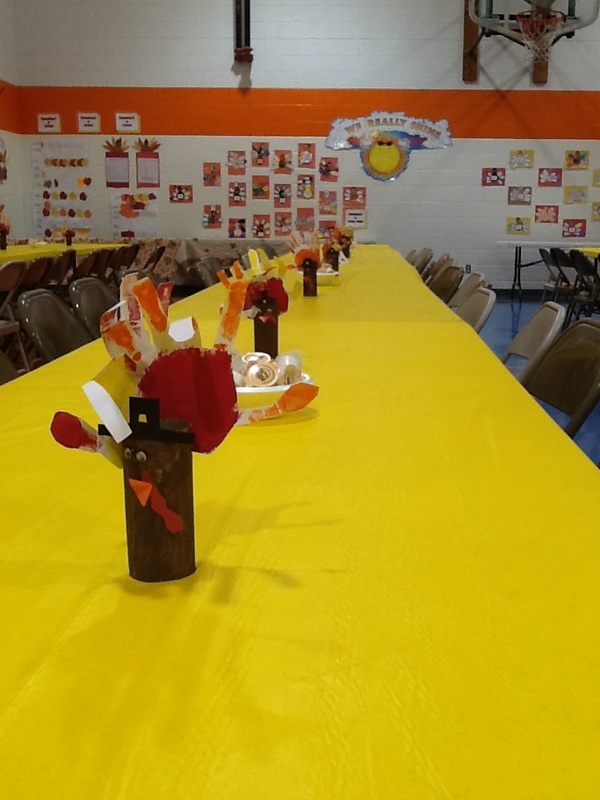 We hope you all enjoyed the Thanksgiving Feast and hope to see you next year!! This entry was posted in Uncategorized on November 18, 2013 by Jennifer Gepson. The Fort Calhoun Community Schools offices and facilities will be closed November 28th and 29th for the Thanksgiving Holiday. There is an early out on Wednesday November 27th. Elementary dismisses at 1:15pm and High School 1:30pm. Have a Happy Thanksgiving. 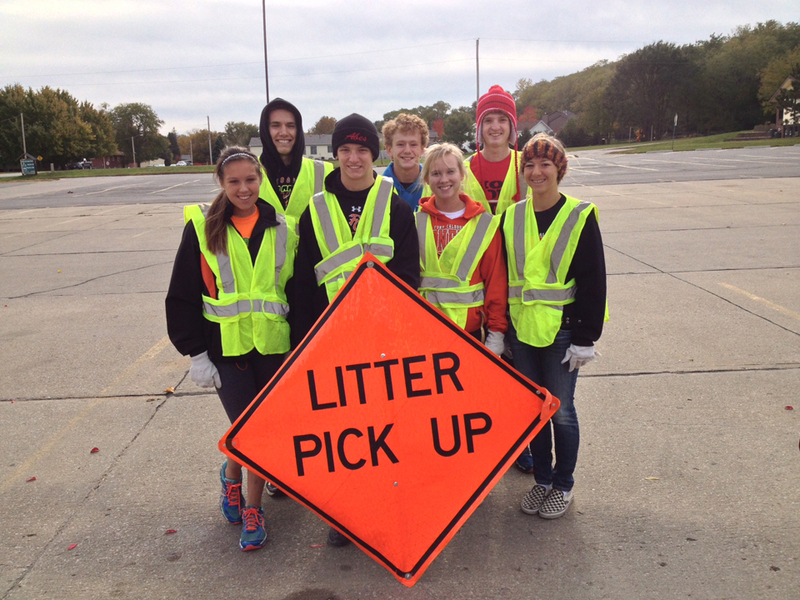 The Fort Calhoun Student Council picked up litter on Highway 75 on Sunday, November 3. 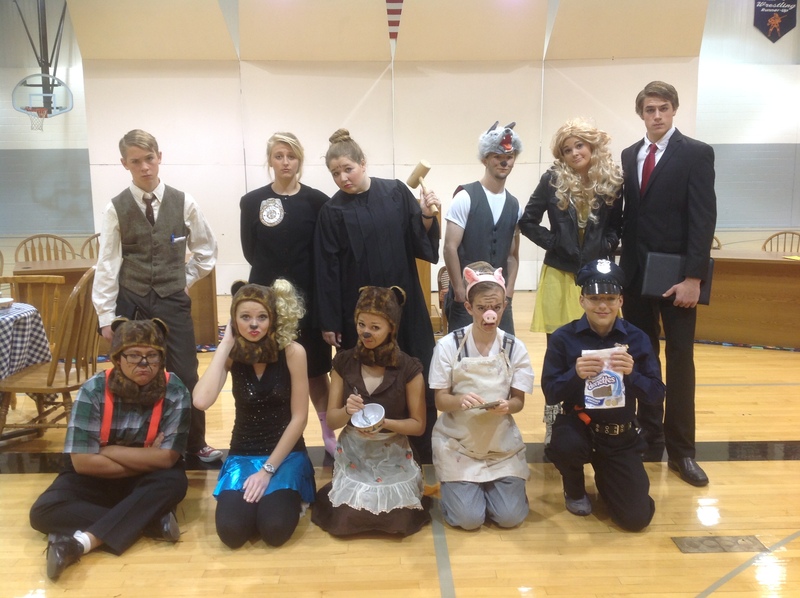 Members pictured are Abby Hillmer, Ben Everswick, Bret Klabunde, Sean Ramey, Anna Koenecke, Peyton Griesert, and Dani Dross. This has been a Student Council project for 7 years. We have the 2 miles south of Fort Calhoun. 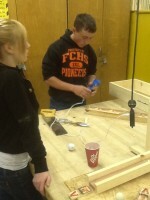 This is part of our community service projects that are part of being in Fort Calhoun Student Council. This entry was posted in Uncategorized on November 11, 2013 by Jennifer Gepson. As a means to advocate for breast cancer awareness, students and staff purchased pink t-shirts from FBLA during the month of October. 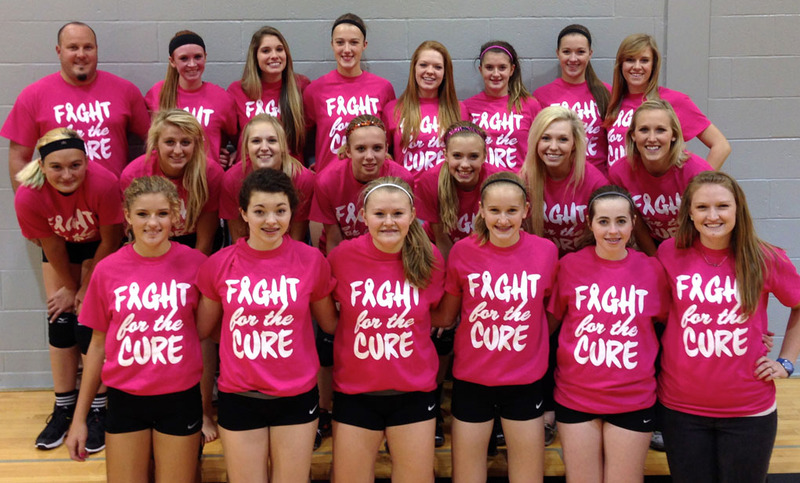 The club raised $485 from the t-shirt orders, which will be donated to Nationalbreastcancer.org. 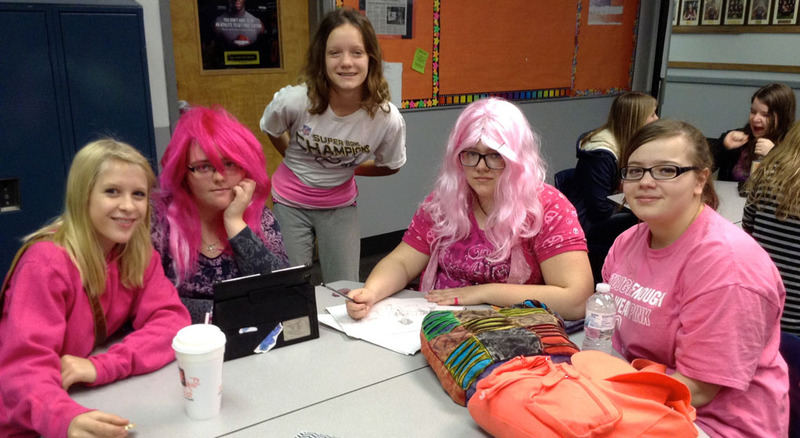 October 28th was designated as a Pink Out day at school. 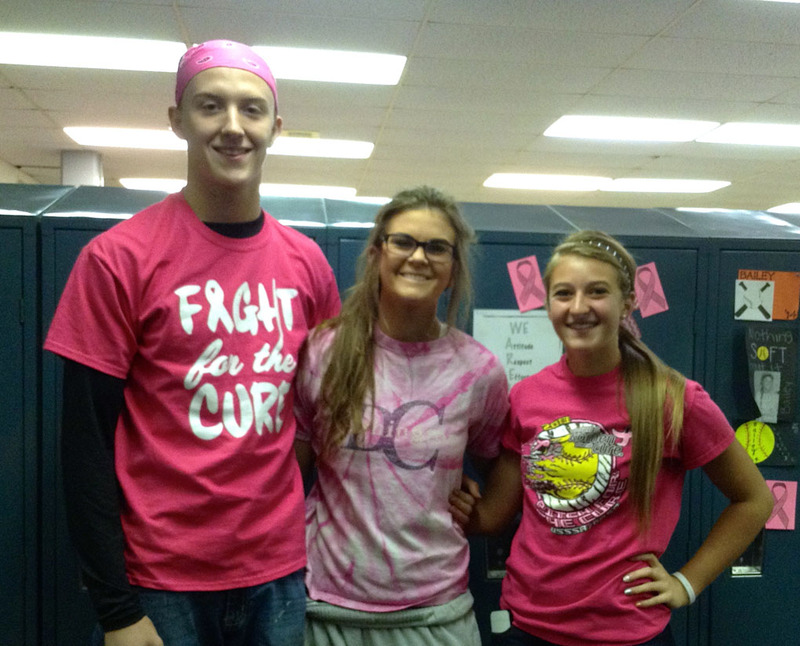 Pink was worn at home football games in October and the volleyball team also hosted a Pink Out against Arlington. This entry was posted in Uncategorized on November 4, 2013 by Jennifer Gepson. On Sunday Nov. 17th the high school is putting on a camp for any boy or girl in grades 3-8. For information, Click Here. This entry was posted in Uncategorized on November 3, 2013 by Nick Wemhoff. Notice is hereby given that a special public meeting of the Fort Calhoun Community Schools Board of Education has been called. An agenda for such meeting is being kept continuously current and is available for public inspection at the office of the Superintendent. By the Board of Education of Fort Calhoun Community Schools. This entry was posted in Uncategorized on November 3, 2013 by Jennifer Gepson.